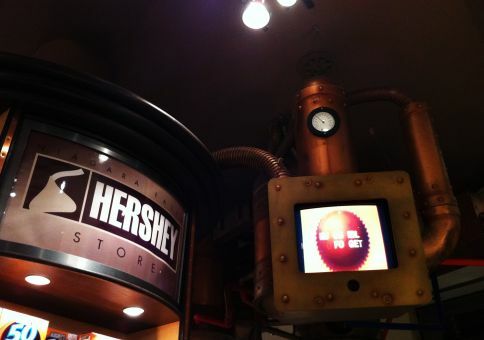 As it turns out, the Cadbury chocolate factory in Toronto no longer gives out public tours. 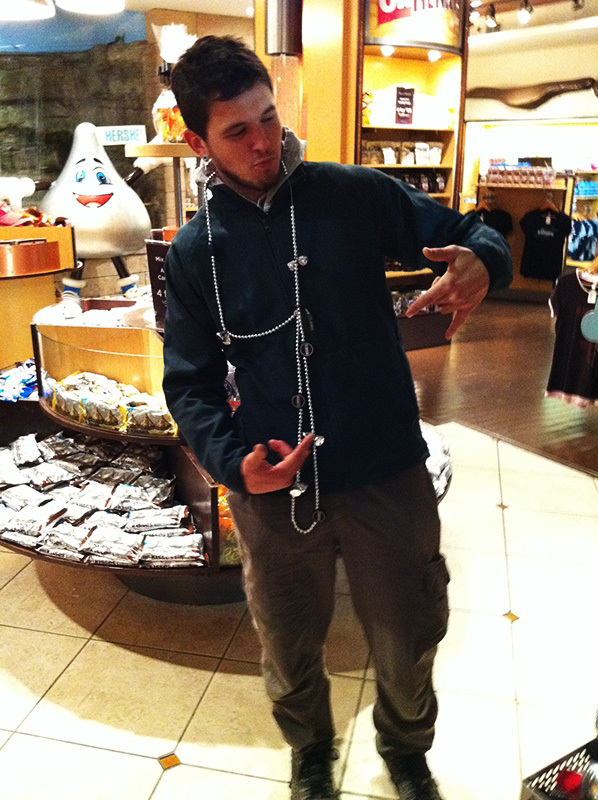 Tragic, I know. 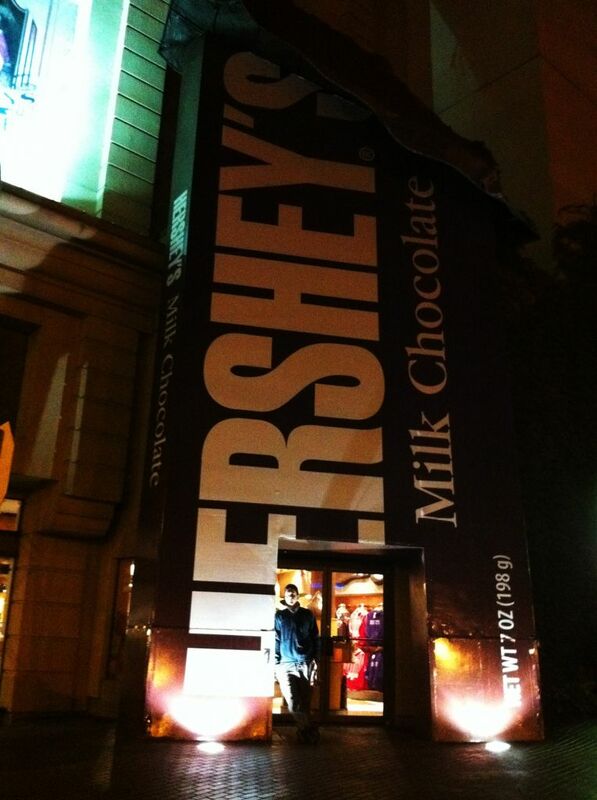 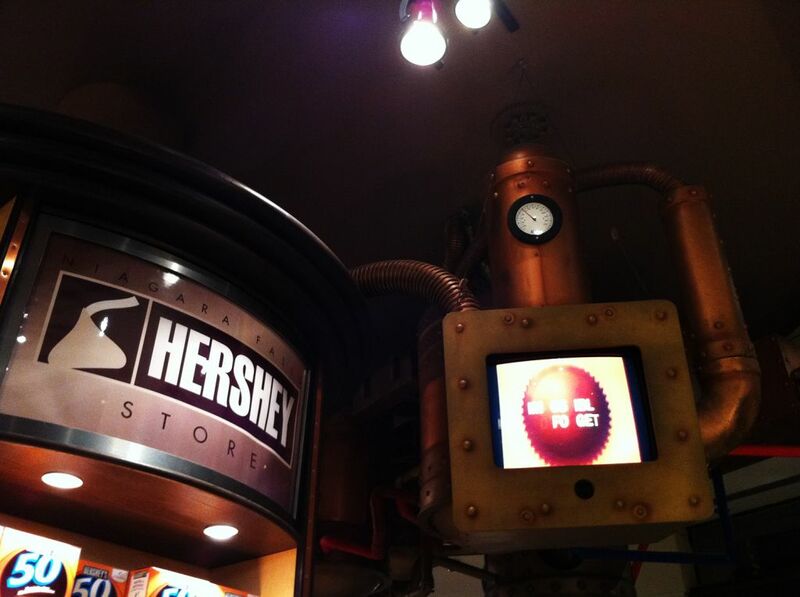 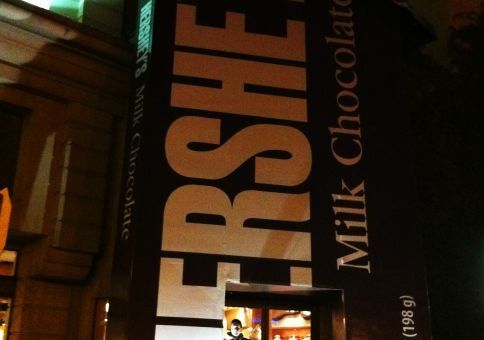 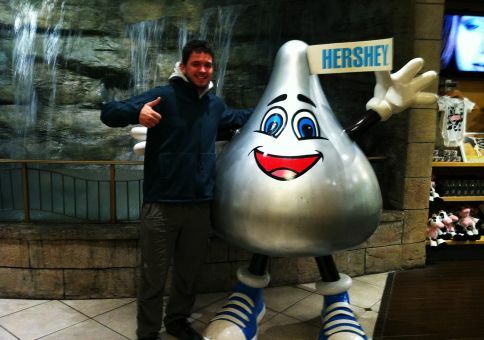 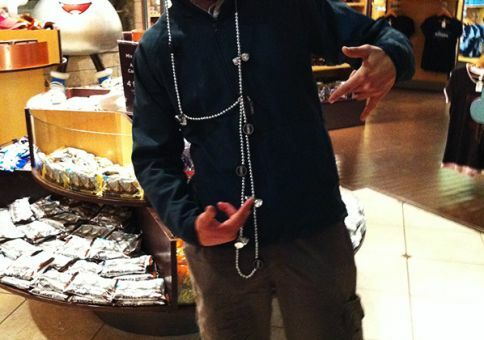 So when we stumbled upon this mega Hershey store in Niagara Falls with a life-sized hershey kiss, we thought we might as well make an adventure out of it. 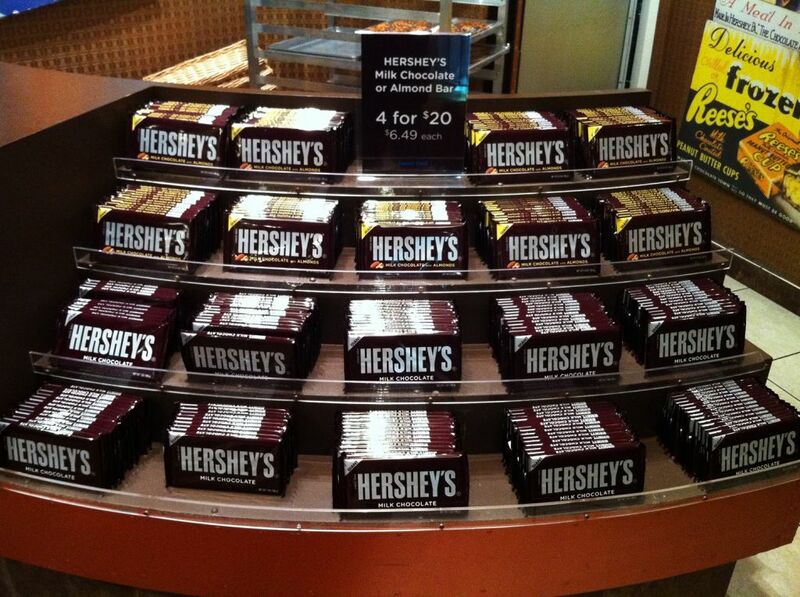 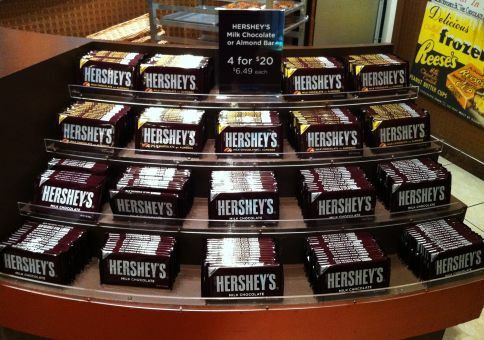 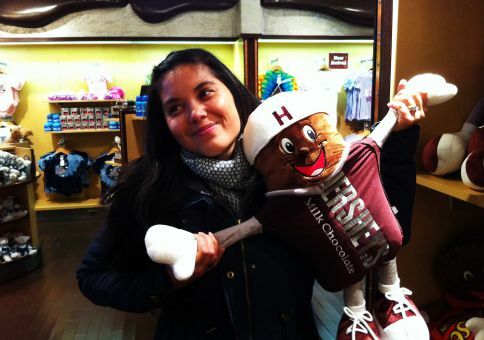 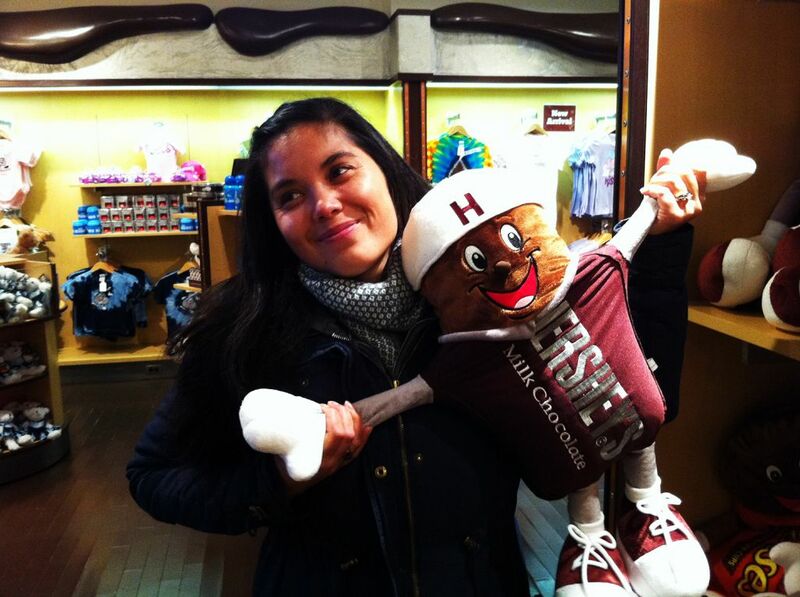 Took my mom to Niagara Falls for a vacation years ago and came across the Hershey store too. 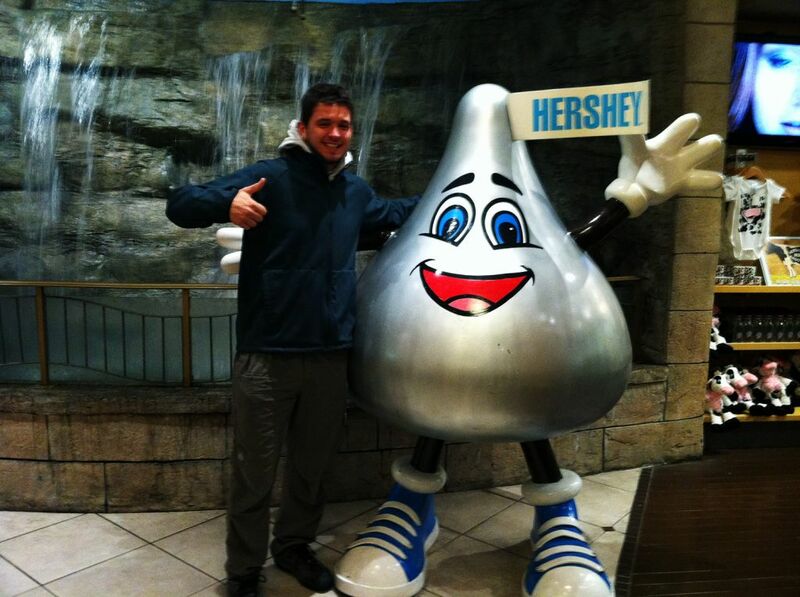 Got the same pic of mom smiling beside the big hershey’s kiss!